This is a lovely cottage. Imaginatively converted from an old Cart House everything is high quality. Very comfy bed. A real pleasure to stay in and so peaceful. Views to sea and hills are lovely, and walking is great. Martha is very helpful and caring, and a fount of knowledge of the area. We have stayed here 4 times so far. Denise and Patrick from Eckington near Pershore. Thank you Patrick for your lovely review. Its always a pleasure to see you and your family. The weather was really good, the view from the kitchen is stunning, open fields and from the lounge you can see the sea. Martha is very unobtrusive as a host, but if you need anything she's just a stone's throw away and she bakes lovely dress bread. Perfect location for so many beaches and coastal walks, our dogs were in heaven! A well stocked kitchen with all the mod cons, comfortable king size bed and warm upstairs living room. Wonderful view from downstairs, watching the sunrise was a treat. The fresh loaf of delicious bread was a welcoming touch. A lovely well presented, well equipped property in a quiet rural location. Sea and countryside views, with plenty of walking directly from the property. A delicious freshly baked loaf of bread awaits you on arrival, and a warm friendly welcome from the owners Martha and Mark and Charlie the dog. It was lovely to see Charlie and our Jasper play so well together, they certainly tired each other out! I would not hesitate to recommend The Carthouse to family and friends, and would happily stay again next time we visit the area. This little house is absolutely gorgeous, it’s modern and spacious and so comfortable. 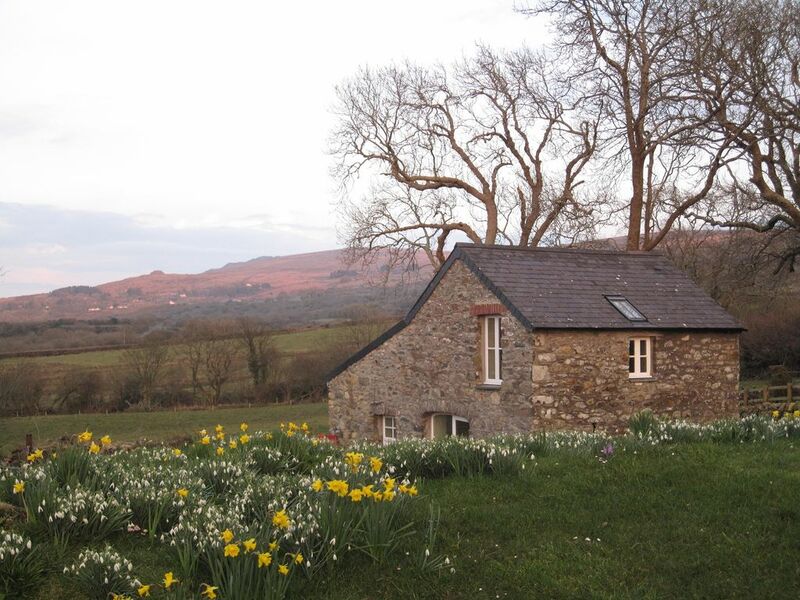 Stunning views, lovely secluded location. Thank you so much Martha. Dinas dispose de 2 magasins locaux qui vendent la plupart des choses que nous avons également 2 pubs qui servent à la fois de la nourriture. La ville voisine de Newport est idéal pour manger à l'extérieur ou à emporter.